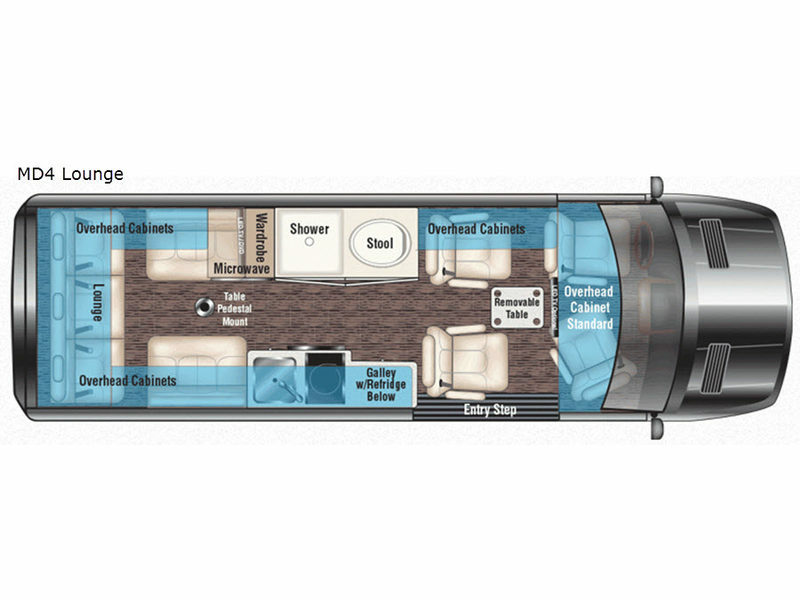 This Passage MD4 Lounge class B diesel will have you daydreaming about your next trip with your family. Just imagine relaxing on the rear power lounge with your feet up on one of the side sofas planning your activities with your kids. You might have decided to leave the removable table in the back location so everyone could eat lunch made in the galley. Your spouse might be stretching his legs after he turned the swivel captain chair towards you. There is a wet bath to keep everyone clean and ready for the next day, and the power lounge becomes a sleeping space for two to take a nap. Come see what else you will love about this coach when you stop daydreaming and starting traveling! 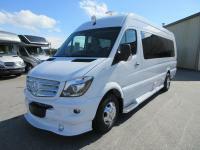 Each Passage class B coach begins with safety and performance engineering of the Mercedes-Benz Sprinter, and includes luxury and convenience throughout. The Suburban tankless water heater offers instant hot water on demand, the convection microwave and induction cooktop allow you to make meals whenever you like, and the 12 Volt/110 Volt refrigerator allows you to store cold items when traveling. The style and comfort of the hand-stitched leather seating, polished wood veneer cabinets and solid surface countertops will impress you every time you take to the road. You also have the convenience of technology with a 100 Watt roof top solar charging system, a HDMI input, USB 12 Volt chargers, and a location prepped for satellite TV, Wi-Fi, and more! Choose your favorite model today!